NORTH CANTON, Ohio, Aug. 22, 2018 /PRNewswire/ -- The Timken Company (NYSE: TKR), a world leader in engineered bearings and power transmission products, today announced that it has priced a public offering of $400 million of 4.500% Senior Notes due 2028 (the "Notes") in an underwritten public offering. The offering is expected to close on or about September 6, 2018, subject to the satisfaction of customary closing conditions. The Company intends to use the net proceeds from the sale of the Notes, along with cash on hand and other long-term debt, to finance the recently announced acquisitions of Cone Drive and Rollon Group. If one or both of these acquisitions are not completed, the Company intends to use any remaining proceeds for general corporate purposes. Merrill Lynch, Pierce, Fenner & Smith Incorporated, Morgan Stanley & Co. LLC, Goldman Sachs & Co. LLC and KeyBanc Capital Markets Inc. are serving as joint book-running managers for the offering. The Notes are being offered pursuant to an effective shelf registration statement that has previously been filed with the Securities and Exchange Commission (the "SEC"). The offering will be made solely by means of a prospectus supplement and accompanying prospectus filed with the SEC. Full details of the offering, including a description of the notes and certain risk factors related to the notes, are contained in the preliminary prospectus supplement. You may obtain copies of each of these documents without charge from the SEC at www.sec.gov. Alternatively, you may request copies of these documents by calling Merrill Lynch, Pierce, Fenner & Smith Incorporated toll free at 1-800-294-1322 or Morgan Stanley & Co. LLC toll free at 1-866-718-1649. This release does not constitute an offer to sell or the solicitation of an offer to buy any securities, nor will there be any sale of these securities in any state or jurisdiction in which such an offer, solicitation or sale is not permitted. The Timken Company (NYSE: TKR) engineers, manufactures and markets bearings, gear drives, automated lubrication systems, belts, chain, couplings and related products, and offers a spectrum of powertrain rebuild and repair services. 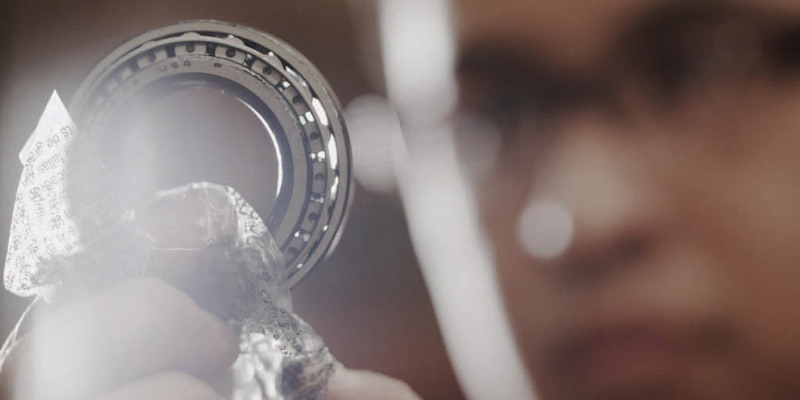 The leading authority on tapered roller bearings, Timken today applies its deep knowledge of metallurgy, tribology and power transmission across a variety of bearings and related systems to improve the reliability and efficiency of machinery and equipment all around the world. The company's growing product and services portfolio features many strong industrial brands including Timken®, Fafnir®, Philadelphia Gear®, Groeneveld®, Drives® and Lovejoy®. Known for its quality products and collaborative technical sales model, Timken posted $3 billion in sales in 2017. With more than 15,000 employees operating from 33 countries, Timken makes the world more productive and keeps industry in motion. Certain statements in this release including statements regarding the company's estimates and expectations that are not historical in nature are "forward-looking" statements within the meaning of the Private Securities Litigation Reform Act of 1995. In particular, the statements regarding the company's expectations for the closing of the Notes offering and its use of the net proceeds therefrom are forward-looking. The company cautions that actual results may differ materially from those projected or implied in forward-looking statements due to a variety of important factors discussed in the prospectus supplement and accompanying prospectus relating to the Notes offer and the company's filings with the SEC, including the company's Annual Report on Form 10-K for the year ended Dec. 31, 2017, quarterly reports on Form 10-Q and current reports on Form 8-K. Except as required by the federal securities laws, the company undertakes no obligation to publicly update or revise any forward-looking statement, whether as a result of new information, future events or otherwise.